We’ve had the privilege of visiting Barcelona a number of times, and on each visit we see a whole host of wonderful sights. But what if you don’t have the luxury of multiple days in the city? What if you’re just passing through, and only have a day in Barcelona? Well, fear not. We think you can squeeze a lot of adventure and sight seeing into one day, from magic fountains to spectacular churches. In this post, we’ve put together a recommended itinerary for a day in Barcelona, and included some information on transport options. Then, at the end of the post we have a couple of extra stop-offs for those of you who really want to fill their day up, as well as some tips and ideas for getting the most out of your day. Let’s get started! Plan your Barcelona Accommodation now! Which discount card should you get for Barcelona? Five minutes to walk the 400m up the Passeig de Gracia to the Casa Batlló, which will be on your left. Visiting Barcelona is inevitably going to result in you seeing some of the masterpieces that Anton Gaudi left scattered around the city. And this is the case with the Casa Batlló, one of his more famous houses, and one which is entirely open to the public for viewing. Like many of the tourist attractions in Barcelona, there’s an entry fee, in this case of around €18, but this is totally worth it. You will be issued with an audio guide to take you around the rooms, which explains all the highlights of the building, as well as the history behind its’ construction. I’ve put this as the first stop in the tour as it is a very popular spot, and can only accommodate so many people at a time. Once you’ve explored as much as you can, and boggled at the dragon like roof, head on out into the sunshine, and decide how you want to get to the next stop on your tour, arguably Barcelona’s most famous attraction: the Sagrada Familia. Option 2 – Public transport, 15 minutes. Walk back towards Placa de Catalunya, take metro line L2 towards Badalona Pompeu Fabra for three stops, disembark at Sagrada Familia stop. I do not believe that the opportunity to see one of the most spectacular buildings in the world should be passed up, so any itinerary I suggest for Barcelona is going to include this fantastic building. In fact, if you don’t see anything else, just visit this building. 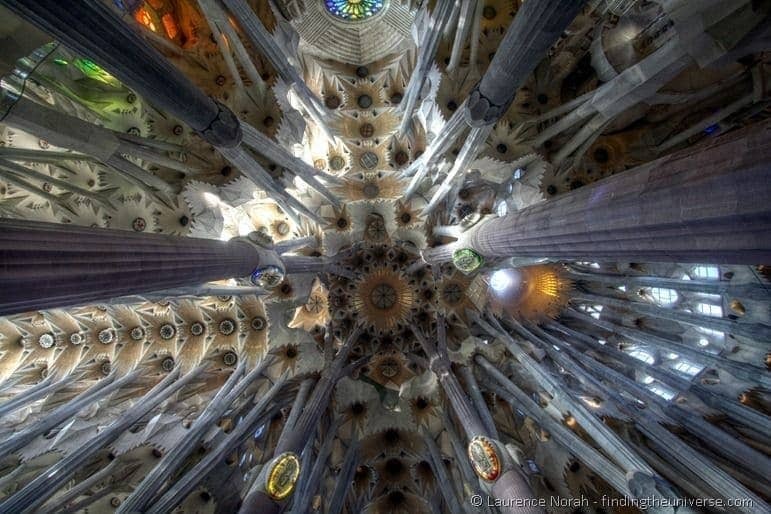 It doesn’t even matter if you aren’t a church type, or have been around every church in the world already – nothing is going to prepare you for the interior of Gaudi’s magnum opus. Apart from this picture of course. Entry isn’t cheap at around €20, but the good news is that you are contributing to a bit of actual history here, as your funds go towards the on-going construction of this incredible building. It’s also a massively popular destination, but for good reason, so don’t be tempted to skip it. You’ll barely notice the crowds anyway, as you gaze upwards at a forest of coral trees. Note that due to the crowds, the Sagrada Familia operates a timed entry system, which means you need to buy tickets for a specific time slot. We highly recommend you do this online in advance of your visit, as it’s unlikely you’ll be able to turn up and get the time slot you want. As of 2019, there are two prices for entry, with tickets for entry prior to 2pm costing a little bit more (but including an audio guide). If you prefer, you could switch this activity with the next activity, visiting the Gothic Quarter before the Sagrada Familia or Casa Battlo, and saving a little bit of money. For tickets for entry prior to 2pm, book these in advance here. For tickets for entry after 2pm, book them online in advance here. Option 1 – 30 minute walk of 2.4km. Walk southwest along Carrer de Mallorca, turn left onto Carrer del Bruc and keep going until the streets narrow. Option 2 – Public transport, 11 minutes. Walk southwest along Carrer de Provença around 400m. Take metro line L4 at Verdaguer for 3 stops, direction La Pau, and disembark at Urquinanoa. Now, I’ve allocated you three and a half hours in the gothic quarter. Sounds like a lot, right? Well, to me, this is one of the best parts of Barcelona, and worth taking the time to explore. Nearly entirely pedestrianized, this quarter is just one crazy mess of tiny winding streets, stuffed full of history and opportunities for aimless wandering. There is lots to see, from the world heritage listed Palau de la Musica, to the spectacular gothic cathedral, to the Picasso Museum. You could literally spend days wandering in this maze – and you just might if you lose your bearings. Option 1 – 40 minute walk of 3.2km. Up a hill. If you’re still keen on walking, then head down La Rambla towards the ocean, and turn right onto Carrer Nou de la Rambla. Turn left for a block onto Avinduda del Paral-lel (feel free to hop on the cable car about now), then right onto Carrer de Cabanes and then follow the windy road up the hill until you get to the castle at the top. Well done, you deserve an ice cream. Option 2 – Public transport, 20 – 30 minutes. From the Liceu take line L3 to stop Paral-lel (diretion Zona Universitària, two stops). From here, you take the funicular (line FM) which goes one stop to the start of the cable car, and then take the cable car up to Castell Montjuic. If you still have time in your day, then I can recommend heading up above the city and finishing your day in Barcelona with a bit of time in the Castle Montjuic and surrounding gardens, followed by a visit to the Magic Fountain. 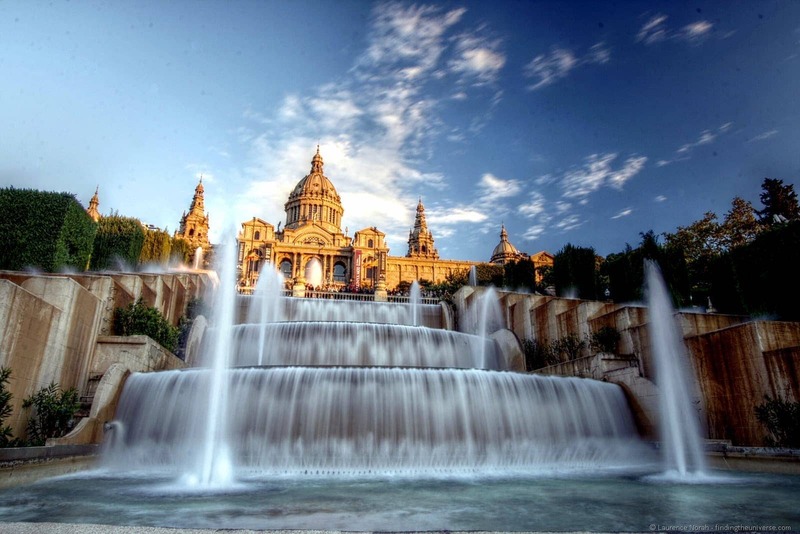 Yes, Barcelona has a magic fountain. How can you not love this city? Castell Montjuic is perched 180 metres above the city, and will give you a great evening view as the sun starts to lower herself down. It’s free to enter, and is open fairly late. 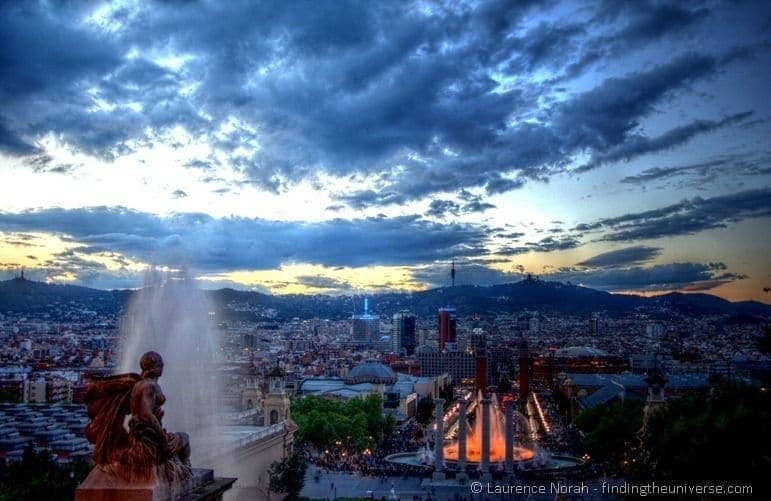 After you’ve sated your castle and city viewing needs, then I can really recommend timing your visit around Barcelona to take in the magic fountain display, and watch the sun set across the city from the steps of the Palau National. This is either a 20 minute walk from the Castell Montjuic, through a variety of pretty gardens, or a 20 minute bus ride on the 193 bus. Not a bad way to end your day in Barcelona! Check here for opening times for the Castle Montjuic for your visit, and here for information as to when the Magic Fountain is doing a display, if you get your timings right you will finish your evening off in style, with the streets of Barcelona below ready to envelop you in an evening of food, music, and good times! If you feel you want to squeeze even more into your day, here are a few optional trips you could do on your day in Barcelona. Park Guell – This is a big garden complex slightly north of central Barcelona, originally planned as a garden housing development. 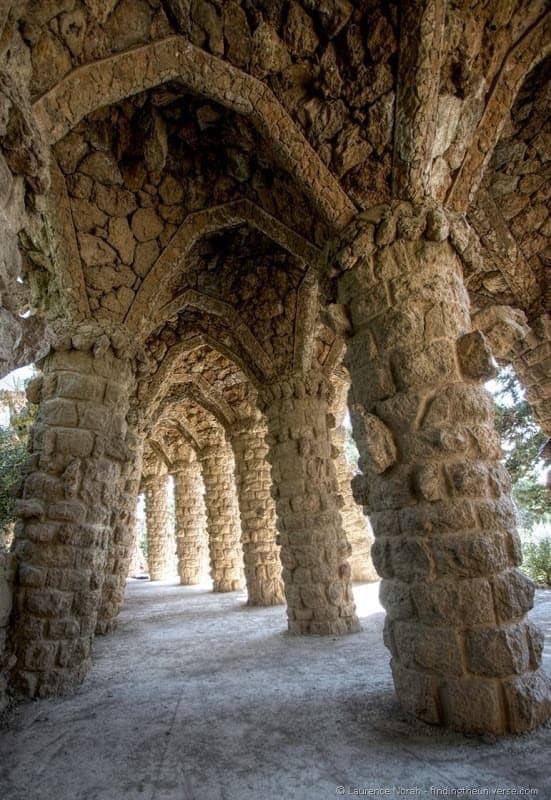 Only two of the sixty houses were actually built, but the park itself is a remarkable showcase of Gaudi’s talents and ideas. It’s worth a visit, but it is likely to be very crowded. 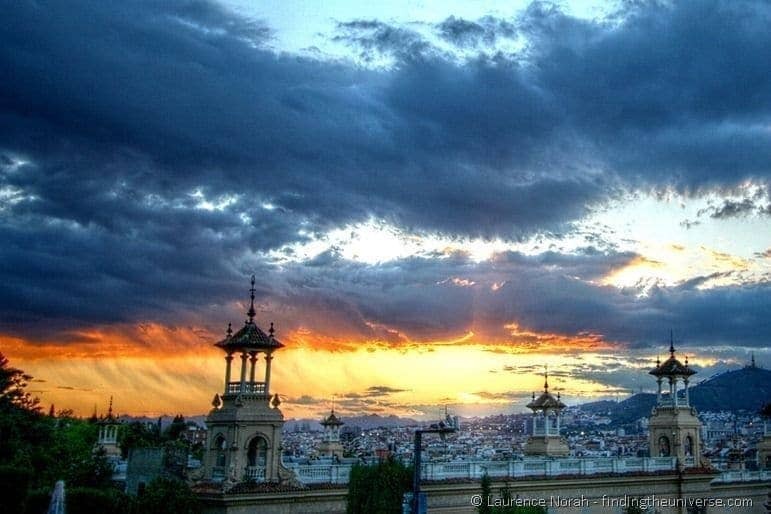 It also offers splendid views across Barcelona. It’s not that central though, so would be a bit of a detour. If you wanted to add this onto the route, the optimal way would be to go after visiting Casa Battlo, via subway line L3 to stop Vallcarca. Alternatively, if you are using the hop-on hop-off bus, it’s the next stop from the Sagrada Familia. 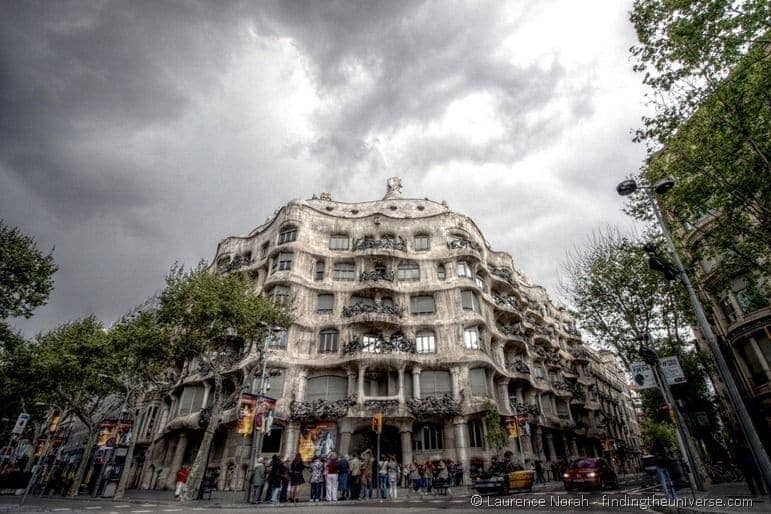 Casa Milà – Also known as La Pedrera, this is another famous Gaudi designed house. It’s only a short walk from Casa Batlló to La Pedrera, so you could do this as an alternative if you wished, although less of the building is open to the public. It’s worth taking a look at the exterior at least, which is free to gawp at. If navigating the metro or walking seem like a bit too much, then the hop on hop off bus is a great option.You will be whisked in fine style between every important sight in Barcelona, with commentary to boot. If you choose this option, we recommend the Barcelona City Pass, which includes this, as well as entry to some of the cities main sights. Note that at the time of writing, this only includes free entry for the Sagrada Familia after 2pm. Barcelona is notorious for pick pockets. Keep your belongings secure and locked up. Pay particular attention in busy tourist areas, and on public transport. Barcelona is a popular destination, and is likely to be busy year round. Take a look at my tips for surviving a European city in summer for some ideas as to how to stay sane. Barcelona is in the Catalan region of Spain, which has it’s own language as well as Spanish. This will explain the signs in a language you don’t understand. Food is remarkably cheap compared to many other European countries. Aim for a weekday lunch deal, where you should be able to score a three course meal, possibly even with drinks and wine, for under €10. In particular, there has been a crackdown on city centre AirBnB accommodation, as well as a restriction on new hotel builds in the city centre. So we’d advise booking a hotel if you can. We usually find booking.com has the best deals on accommodation when we travel. Check out their Barcelona listings here. If you prefer an apartment or more of a hosted stay, then we recommend AirBnB. I’ve tried all the others, and AirBnB consistently has the most options for locations around the world. Plus, if you’ve never used them before, you’ll get a discount on your first booking with this link! Just be aware that as mentioned, AirBnB’s have been restricted in the city centre, so make sure it is licensed (it should have a tourist license number in the listing to be legit). There are three main options for saving money in Barcelona that I’ll quickly cover here. First, the Barcelona Card. 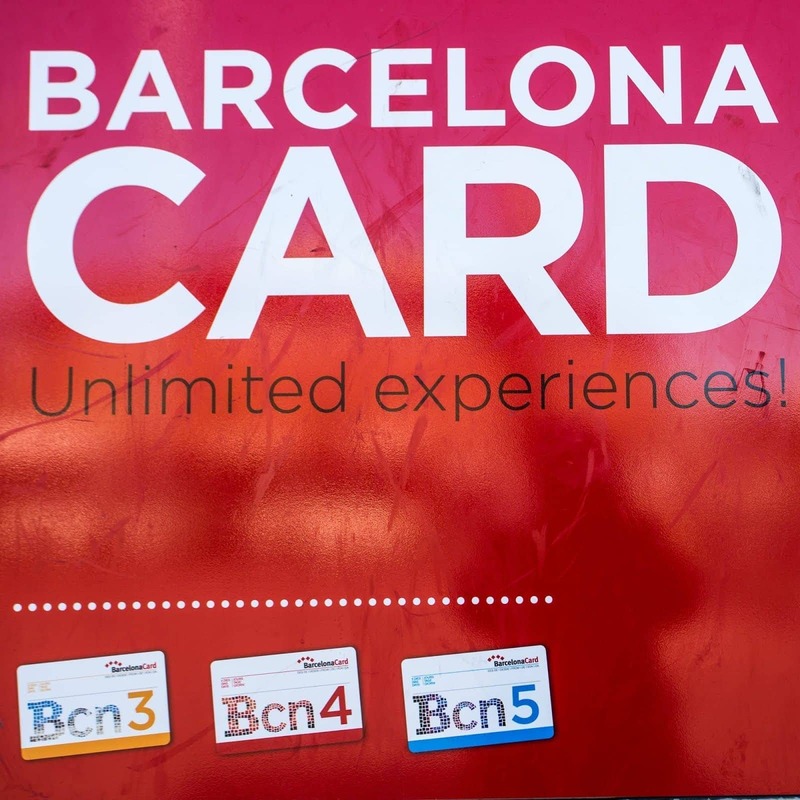 This is the official city card from the Barcelona Tourist Office, which is available in a standard version, and an express version. The normal version can be purchased for 3, 4 or 5 consecutive days, whilst the Express version is valid for two days. The normal version includes free access to a range of attractions, as well as discounted admission to a number of other attractions. It also includes free public transport. For a one day Barcelona itinerary such as that described in this post, the Barcelona Card is unlikely to be worth it, however you may consider investing in the Express verion. The Express version comes with free transport for two days, as well as a range of discounted admission, but doesn’t include free entry. However, it is very competitively priced. The Barcelona Pass is from the same people who make the London Pass that we love. 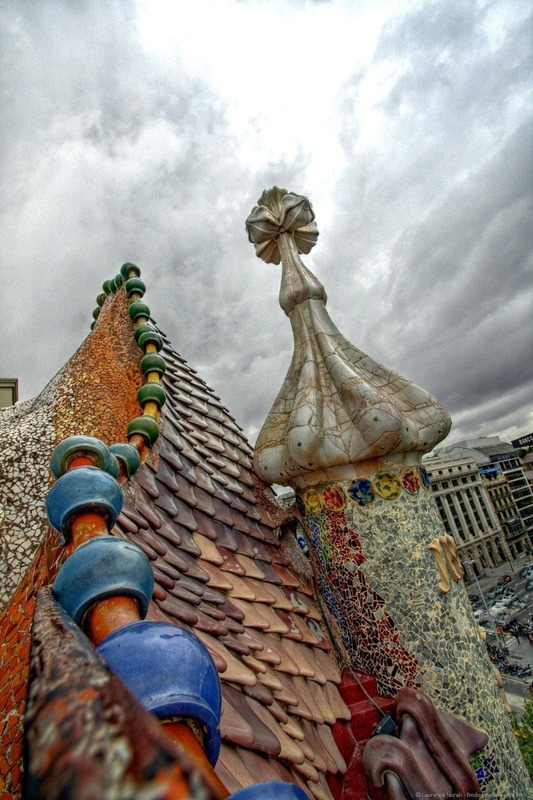 It is more expensive than the Barcelona Card, however it includes free entry to a number of attractions on our one day itinerary including Casa Batlló. It also comes with a day of free hop on hop off bus transport, a free Barcelona Walking tour, a free Bike tour, a free boat tour, and a number of other attractions. If you are planning on visiting the attractions covered by the Barcelona Pass, it can quickly save you money. Jess has written a comprehensive review and guide to using the Barcelona Pass to help you decide if it is a good fit for your trip to Barcelona. 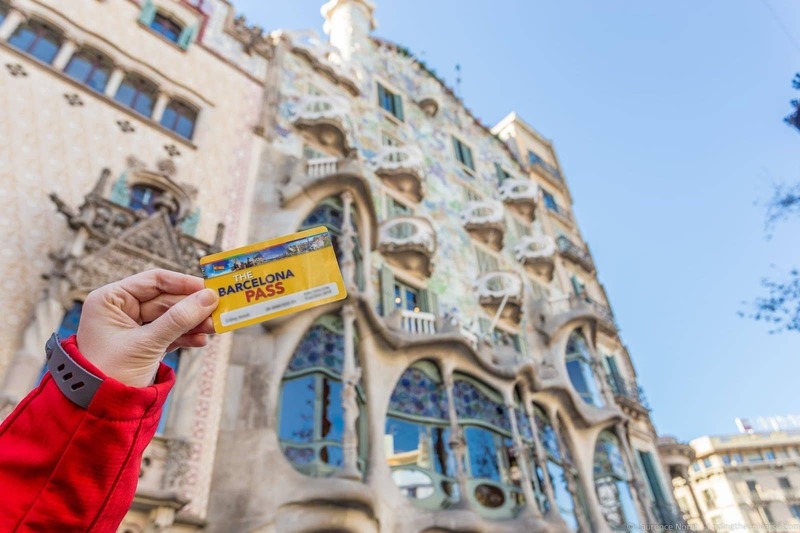 A newer pass card, the Barcelona City Pass focuses on convenience, and covering the attractions that most visitors really want to visit. It includes entry to the Sagrada Familia and Park Guell, transfer from the airport, hop-on hop-off bus and 20% discount on all the other attractions in the city, including the Casa Batllo. 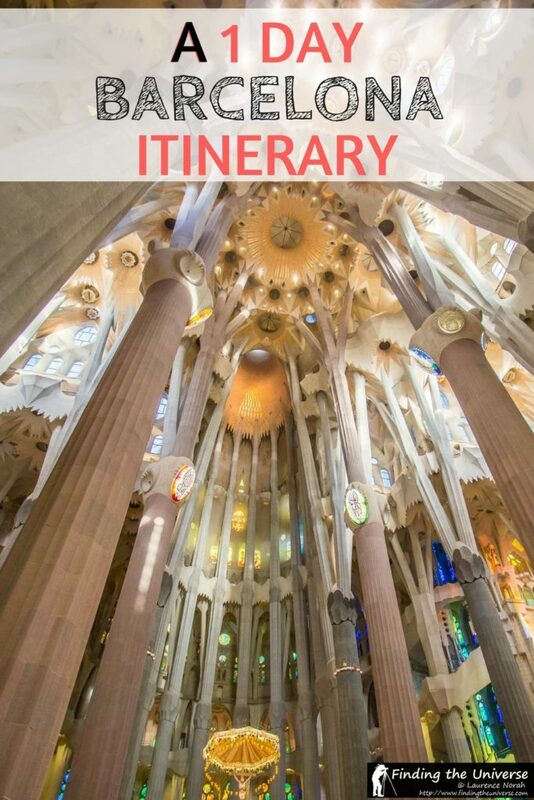 It also lets you book your timed entrance for both the Sagrada Familia and Park Guell, which is something you are absolutely going to want to do before you visit to be sure you aren’t disappointed when you arrive. For a day in Barcelona, we think the Barcelona City Pass is a good option. However, do note that at the time of writing, this only includes free entry for the Sagrada Familia after 2pm. If you want to visit the Sagrada Familia before this, you will be better off picking up individual tickets for each attraction. For a day in Barcelona, we think that the Barcelona City Pass is going to be your best option if you intend on visiting the Sagrada Familia after 2pm and Park Guell, and also if you plan to use the Hop on Hop off bus. This will get you around all the attractions we’ve listed, and save you from having to navigate the public transport system. The other two cards we think are unlikely to be worth it for just a days visit as you won’t get maximum value from the purchase. However, if you’re staying for two or more days, then one of these passes is very likely to save you money if you plan on visiting a number of the attractions included on them. See our detailed comparison of all the Barcelona discount passes for more information on which might be best for you. There’s a lot of information out there about visiting Barcelona – some we’ve written ourselves, plus some external resources. Below you’ll find some of the best of that content to help make the most of your trip to Barcelona. And that’s it for our guide to spending a day in Barcelona! I’d love your thoughts and feedback as to what I’d put in, left out, or anything at all! Hit up the comments below and share your feelings with the world! Hi – we will be in Barcelona for 3 days at the end of August before boarding a cruise. We love to walk. Wondering what you would recommend as the area to book our hotel. Any suggestions for hotels that may include breakfast? Thanks. 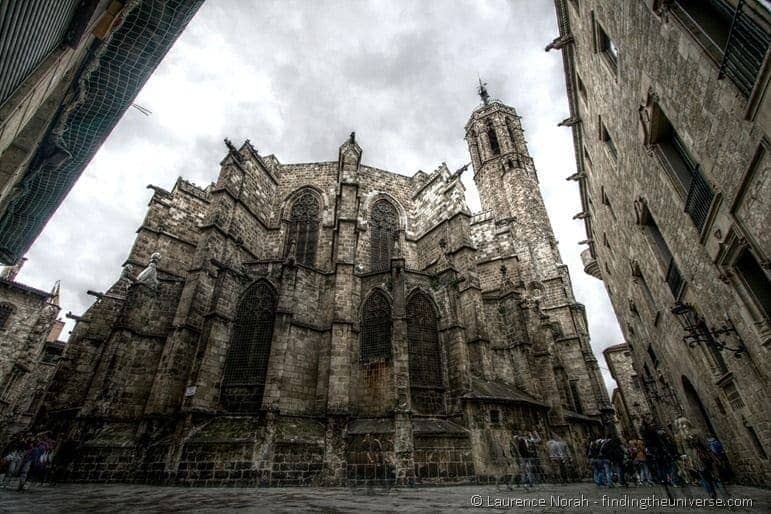 So most likely you will want to be in the old part of the town, the Gothic Quarter. This is in walking distance to most the attractions, and it’s also easy to get from here to the port area (there are buses from near the Mirador Colom to the cruise terminals). In terms of hotels, we’re actually staying in Barcelona right now, and I would say that whilst many hotels here offer breakfast, they don’t often include it in the price. This is so they can offer rooms at a more competitive price, and then add on breakfast. This add on tends to be fairly expensive by Barcelona standards, around €12 – €18, which is quite a lot considering you can get a coffee and pastry for €3 or €4 in most cafes. However, if you do want a hotel with breakfast, we have stayed at the Hotel Leonardo, which has a nice buffet breakfast with hot items, including bacon and eggs etc, at a reasonable price. I am confused by your directions to get from the Gothic Quarter to Castell Montjuic. Your instructions say “Public transport, 20 minutes. From the Liceu take line L3 to stop Paral-lel (diretion Zona Universitària, two stops). From here, take the cable car up to Castell Montjuic.” From looking at Google Maps it doesn’t look like you can pick up the cable car directly at the Paral-lel stop. It looks to me like you have to get to Telefèric de Montjuic to pick up the cable car – right? If so, it looks like there is a 20 minute walk from Paral-lel metro to Telefèric de Montjuic. Is that correct? Apologies, I should have made this more clear, and will update the post to do so. To get to the Cable Car, you actually take the Funicular from Paral.lel Metro, which takes you to the cable car starting point. This is marked as metro line FM, and is included as part of the standard metro fares. Just one note, this line is actually out of service for maintenance for the next six months, so you would likely have to walk at time of writing. Thanks so much. We are coming in September so hopefully the Funicular will be operating by then! Hi! I just spent half a day in Barcelona, between flights, and I found your guide super helpful. One thing i did differently was that I had found a post on tripadvisor from someone who had theft trouble with baggage storage at the airport. No idea if that is a regular issue, but instead, I tried a storage locker location in the center, a couple of minutes walk from the Aerobus stop in Placa de Catalunya. It was fast, cheap (4 euros), at least felt dependable, and was more convenient for me since I had to switch terminals anyway. I’m quite happy with the experience, and you might want to mention it. I had reserved ahead on the website and paid via PayPal, but I’m not sure it is necessary, honestly. Another thing. I reserved a skip the line ticket for Casa Batllo, which was definitely worth it. I showed up a couple of hours before my reservation time and it wasn’t a problem. Thanks again for the beautiful guide. Thanks for the detailed comment and information, much appreciated. We’re thrilled you had a great time in Barcelona! LOVE LOVE LOVE your travel information! My husband and I are planning a trip to Barcelona for January 2019 and will have roughly 3 days to explore the city pre-cruise to the Canaries. We will also be travelling to Paris… so I’ll be reading your tips for Paris next. Thanks for sharing your gorgeous photos, experience and information! Hey Kellie! Always a pleasure 🙂 I’m guessing you found our other Barcelona content, including the 3 day post, which should help a bit more with a longer stay! And yes, we have lots of information on Paris across both our sites – don’t hesitate to reach out if you have any questions or queries, we’re happy to help out! We am planning to spend 4 days in Barcelona and north of Spain , Can you help me with sites to reach some cheap price tours including hotels & transportation or you suggest that we plan it our self, both cases can you help? 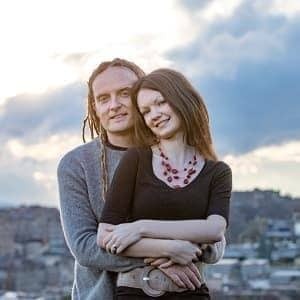 Found this blog very well articulated and beautifully done. We arrive for cruise so only have a few hours with our luggage in tow. Can you recommend a trustworthy guide to pick us up and take us to see just the church before taking us to the port? We are going to need another trip to see more of Spain and hopefully Portugal too. Thanks very much! We don’t actually know of any guides, but our suggestion is to check out Viator where you should be able to find something to suit your needs and budget. A quick look yielded this as an option, but I’m sure there are plenty of other options too.